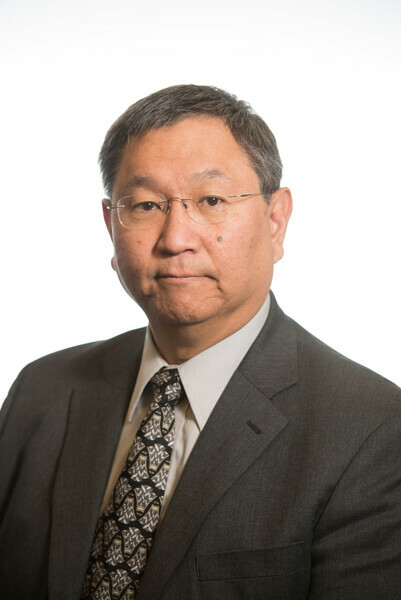 James "Jim" Ang joined the PNNL in April 2018 as chief scientist for computing and as the lab's point of contact for DOE's Advanced Scientific Computing Research mission. His responsibilities include providing senior leadership in high performance computing and supporting the development of PNNL’s lab-wide Computing Strategy. Jim is also cultivating opportunities for PNNL to support the National Strategic Computing Initiative’s Objective #2, Increasing coherence between the technology base used for modeling and simulation and that used for data analytic computing. Prior to joining PNNL, Jim served as the a member of the initial DOE Exascale Computing Project (ECP) leadership team from 2015-2017. Jim’s role was the Director of ECP’s hardware technology focus area. His primary role and responsibility was the development and definition of the DOE ECP's hardware R&D strategy. The key elements of the strategy included: 1) Establish a portfolio of PathForward vendor-led hardware R&D projects for component, node and system architecture design, and 2) Create a Design Space Evaluation team to provide ECP with independent architectural analysis of the PathForward vendors' designs and the ability to facilitate co-design communication among the PathForward vendors and the ECP's application and system software development teams. In 2009, Jim established the Association for High Speed Computing (AHSC), a professional non-for-profit organization established to host conferences, workshops, and technical exchanges among, national laboratory, industry, university and other government agency representatives. These technical exchange events are focused on high performance computing-related topics and may include other activities authorized by the AHSC Board of Directors. This is professional service to foster development of interdisciplinary and inter-organizational communication and collaboration for the HPC community. Regular conferences that are sponsored by AHSC include: The Salishan Conference on High Speed Computing, the Chesapeake Large Scale Analytics Conference (CLSAC), and the Current Challenges in Computing (Ccubed) Conference - (organized by LLNL). Ang, JA . 2017. "The DOE Exascale Computing Initiative: ECP and Holistic Co-design." Computing@PNNL Seminar Series, Dec. 12, 2017. Richland, WA, SAND2017-13295 PE. Ang, JA, Cook, J, Domino, SP, Glass, MW, Hammond, SD, Hemmert, KS, Heroux, Hoekstra, RJ, Laros III, JH, Lin, PT, Nam, HA Neely, R, Rodrigues, AF, Trott, CR. "Advances in Parallel Computing series," Fox, G, Getov, V, Grandinetti, L, Joubert, G, Sterling, T (Eds. ), Convergence of Big Data and High-Performance Computing, IOS Press, Amsterdam, New York, Tokyo, SAND2017-8788B. 2017.Book Chapter: "Exascale Co-design Progress and Accomplishments." Ang, JA. 2017. "The DOE Exascale Computing Project: Strategy for System Development." Coordination Panel for Advanced Detector R&D, Div. of Particles and Fields of the APS, University of New Mexico, Oct. 14, 2017, Albuquerque, NM. SAND2017-11208 PE.